Modern life is so fast-paced, things change so quickly and it can be hard to keep up. Stress and overwhelm can quickly become the norm, and wellbeing can suffer. When these type of things creep in and are allowed to take over, a negative picture is created which is not conducive to anyone or anything. Confusion, hesitation and procrastination reign supreme, and progress is stifled. Anger and frustration arise to alarming levels and relationships, both personal and professional suffer. A work-life integration becomes impossible, or at least seems impossible. Despite what you might be telling yourself, you’ve achieved a lot so far. But now there is something preventing you from moving forwards. You need help getting to the next level. Many people get stuck in a rut and rather than seek help, they convince themselves that where they are is the best it will ever get for them. When you face major decisions about life changes, anything from taking a new job or changing career, to getting married or divorced, or even emigrating, a Life Coach can offer you sound, unbiased guidance. True, friends and family can provide advice and listen to you vent, but their input will be influenced by what they think you want to hear, or what they think you should hear. A life coach will help you determine what really matters to you in an honest way and deconstruct the whole picture with all of the pros and cons so that you can consider your options without the nagging voices in your head telling you something is amiss, and without any bias for a certain course of action. A coach can help you to work through what you’re hung up on and give you strategic guidance on how to move forward. A Coach will empower you to be confident making a decision and taking the next steps. DO YOU WANT TO BE MORE DECISIVE, TAKE ACTION OR GET HELP CREATING A VISION? Think about your current status in your professional or personal life. Do you feel that you’ve missed out on opportunities because you’re afraid to take action? Maybe you hesitate or procrastinate and the opportunity goes to someone else. Perhaps you simply cannot make a decision because you feel something is not quite right, but you cannot fathom out what that could be. If your confidence isn’t where it should be or you are having trouble setting a course because you’re too close to your problems to see the next steps, or you’ve created a situation of overwhelm for yourself, a Life Coach can help you find clarity and guide you to a more proactive path. Clarity is power, and oftentimes clarity can only be provided by someone outside of your situation facilitating the arrival at a solution. Sometimes we are so busy acknowledging and giving credence to what we “should” be doing that our judgement becomes clouded. We don’t stop to ask why “should” we? Who says we “should”. A life coach will encourage you to ask these questions. A life coach will encourage introspection and facilitate some emotional intelligence or self-awareness so that you can start to understand what you really want, and so you can begin to work out how you can get it. Understanding yourself on the inside will help you make decisions that will make you happy on the outside, and boost your confidence in the process as you start to feel things working out for you. We were not born into this World with any beliefs or opinions. We build those from things that happen to us, how we see others react to the experiences, and what we are told about the experiences. We build up our own perceptions. These may or may not have any truth in reality. We all experience positive and negative things. We attach our own views and beliefs to those events. We all create untrue ideas about ourselves. Perhaps you tell yourself you are bad at maths? Maybe you’ve been told you are bad at something and you’ve just accepted it without challenge. Maybe you consistently tell yourself that you’re not good enough to accomplish your goals. These are all limiting beliefs because they stop us moving forward. You can let go of past experiences, or at least the perceptions you have held about them. A Life Coach can facilitate this, and empower you to deal with any future limiting beliefs you hold. Without clearly defined goals, you haven’t got a hope of achieving big things in life, you will simply meander through life, hoping the right thing will happen. This is false hope. To get what you want you have to go and get it. A Life Coach will help you define what it is you want based on your individual needs. It is crucial that your goals reflect what you want, Not what you think you “should” want, or what others will want for you. ARE YOU FOCUSED ON YOUR OUTCOME? You’ve heard the saying “Can’t see the wood for the trees”? Maybe you have a goal, but you cannot see a way through to its fulfilment. You need a map to focus on and so you can see a path to the end goal. A life coach can help you with a map, and also with plotting a path on the map by setting up smaller goals, which will lead to the big, final goal you have in mind. Smaller, measurable goals will make everything more achievable and make it easier to focus on the job in hand. DO YOU HAVE A VISION BUT LACK A PLAN? “If you fail to plan, plan to fail”. It’s all very well having a map, and having goals, but you need to have decisive action too. A life coach will help you take measured action and keep you accountable to ensure that you start hitting the goals you have plotted. There are strategies to ensure success in achieving goals,and organisation is key. If you are floundering, still searching for your purpose in life, feeling unfulfilled at work or in your relationship, or just generally unsure about what you wish you were doing, even though you know it’s not what you’re doing right now, you need some help. There’s something more out there, right? You’re not alone in thinking this. If you’re thinking, “There must be more to Life than this” it’s probably time to find a Life Coach who can help you clarify your values so you can start to find your purpose again and ignite your passion once more. We all have needs, but how those needs are satisfied differs from one person to the next. DO YOU NEED TO BE EFFICIENT TO GET WHAT YOU WANT? Time is precious. Unless we are taking efficient action we are wasting time. Some things we do simply do not help is, or advance us in any way. Some actions are, quite frankly, counter-productive. A Coach can help you achieve more with less by facilitating solutions to plateaus or challenges you’re facing. Essentially a Coach will help you be resourceful,rather than spend time looking for more resources which will add nothing effective to what you already have at your disposal, and may hinder or slow down your progress. ARE YOUR ACTIONS HINDERING YOUR PLANS? Even If you know what you want you may have trouble acting in ways that get you there, or you may have significant doubts in your abilities. Perhaps you are guilty of self-sabotage or suffer from imposter syndrome. A Life Coach can help you overcome these self-destructive habits. DO YOU HAVE TROUBLE GETTING EVERYTHING DONE THAT YOU NEED TO IN THE TIME YOU HAVE? Time management is a challenge for all of us at the best of times, especially when we have to factor in a work-life integration. You already know that putting off until tomorrow what you need to do today isn’t going to get you anywhere, but sometimes prevarication or distraction win the day. Even if you think you have time management down to a fine art, life can get in the way and throw you out of sync. A Coach will help create some time management strategies, like chunking time and time targets to keep you on track,and so you never worry about the occasional life-curveball. DO YOU FEEL WEIGHED DOWN BY EMOTIONS YOU CAN’T EXPLAIN FULLY? Stress, depression, vicarious trauma and addiction can all creep up on us, and by the time you realise that you have a problem, they have become deeply ingrained in your life. All aspects of life are affected, your speech, your attitude, your temper, even your ability to communicate and function as a human being. A life coach can help you achieve emotional resilience and counter the negative feelings using strategies to change your feelings and perceptions for good and empower you to move forward with confidence. DO YOU WANT TO TAKE THE PLUNGE AND TAKE YOUR LIFE TO THE NEXT LEVEL? Whatever you want to do, a Life Coach can facilitate this to make the transition easier. If you feel ready to make the leap to a new job or profession, a Coach can give you the confidence to do so. If you want to make more money and you’re not sure how, a life coach can help you find ways by identifying your strengths and overcoming your weaknesses so that you can find leverage in asking for more money. Or, a Coach can discuss other opportunities that have gone unnoticed by you. ARE YOU FACING A MAJOR TRANSITION IN YOUR CIRCUMSTANCES? Change is scary, even if it is exciting and what you want to do. If you’re about to change jobs, move house or even emigrate, or you want to get out of a relationship, it’s a great time to work with a Coach. Family and friends can soon tire of discussions about your upcoming life changes! You don’t want to create more problems with those you are close to, and you you want to make your transition as easy as you can. A Coach can keep you sane during the process and facilitate the whole thing. You want to begin new chapters in your life on your own terms, but if you don’t know what those terms are because the changed circumstances will be so new to you, you’ll need help clarifying them. If you feel that your life is stagnant and you’ve stopped moving forward and are merely “existing” then you are not in a happy place, and you are probably ready to move out of your comfort zone. You can try and convince yourself that you are happy staying put, but in reality you need some excitement. You need change. You need to grow. If you’re a little too comfortable with your routine, it may be time to step out of your comfort zone right now. A Coach can help you challenge yourself to learn, grow, have fun and take action in exciting new ways. DO YOU HAVE TO FACE SOME UNEXPECTED OR INTIMIDATING CHALLENGES? Everyone is anxious, scared and intimidated from time to time by challenges in their lives. Fear is a natural emotion but you have to learn to use it for its correct purpose – to help you! If fear is ever holding you back, take action and learn how to use your beliefs as a force for success. A Coach can help you identify your fears, challenge them and then do everything you want in spite of them. These are only examples, but if you recognise any of these issues in your life right now, you may need a Coach. Maybe have a chat with one or two and find out if they can help. Many coaches will offer a free call because it is important that you and the Coach feel that you are a good fit to work together. If you decide to work with a coach, you’ll be joining the ranks of some of the world’s most wildly successful people. Most Coaches have coaches because they know it is the only way to reach a high level of success in any aspect of their life. They know that the support from a Coach is crucial to their progression and the confidence they need to do so! 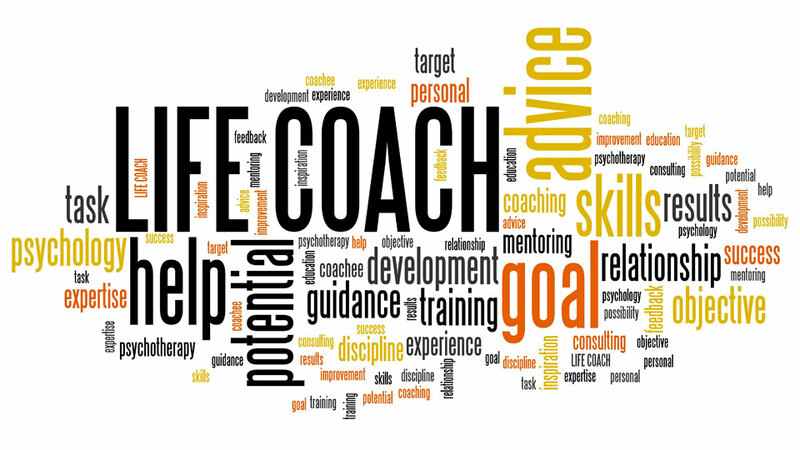 The benefits of life coaching will be advantageous in any and all endeavors you pursue. It may seem scary to admit you need help, but actually, conversely, this makes you a strong person because you recognise you cannot be the best version of yourself without support. What’s stopping you? Make an enquiry today and perhaps meet the person who could help you change your life. Start working toward the life you dream of? Suzie Stanley is the Owner of the Suzie Stanley Consultancy and set the business up to help people get Control back in their lives. Suzie is a Certified Strategic Intervention Life Coach. She is also a #1 best-selling author of “Your Life in Your Control”. Previously, she practised as a Solicitor, having qualified as a lawyer in 1996. She specialised in the area of Property Litigation. Whilst she has always had a passion to help people, she has always felt her true calling was to help people understand why they perceive the World the way they do, and how they can change that perception; learn to find joy and growth; and, then, help others to do the same. In setting up the Suzie Stanley Consultancy, Suzie has provided people with the first port of call to take the first step in tackling issues which are holding them back. Her aim is to help people attain a newfound resolve to live life on their terms, and to go forward, with a positive attitude, and the frame of mind to be able to tackle any situations thrown at them. Suzie is passionate about helping people who are stuck in a rut and believe that their life cannot change. People who want to find their own identity again because they have lost their unique passion and purpose along the way. Suzie’s mantra is “You are the Change that Changes Everything”. Suzie lives by the sea on the South coast of England with her husband and four children. She is widely travelled and enjoys exploring different countries and their cultures.